Prepare for a rewarding career at the highest level as you study this respected masters degree. Accredited by the Institute of Hospitality, this course will enhance your leadership and management potential within the hospitality industry. Our teaching team combine academic expertise with extensive, high-level experience in the hospitality industry, and will support and encourage you to reach your goals. 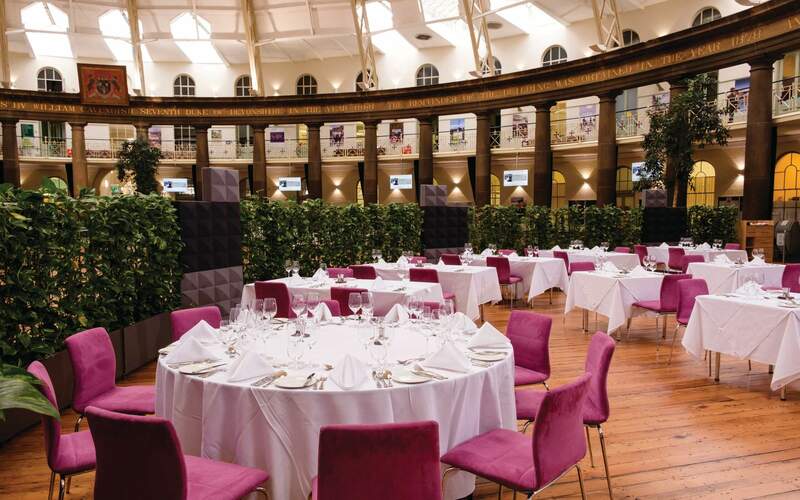 Your campus is the inspirational Grade II* Devonshire Dome which is a major hospitality venue in its own right. You will have the opportunity to apply theory to practice in our fine dining restaurant and attend a range of extracurricular activities including talks by key industry speakers, from companies such as Hilton Group, Caprice Group and Gleneagles Resort. For a flexible study option, you can also study 100% online. Our online learning degrees allow you to plan your study time around existing work or personal commitments. You’ll be fully supported by our expert tutors and online learner advisors while studying in a structured, interactive online environment.